After many twists in the fight between comedian Kapil Sharma and Sunil Grover, finally, Dr The “Mashoor Gulati” or Sunil Grover’s reply is out he has broken silence. After Kapil’s apology on social media, Sunil wrote a post by tricking him. After this, there was the talk of Sunil Grover and other artists leaving ‘ The Kapil Sharma show, but there was no statement from Grover. After this, and the fight became very exciting. In the media, there was some new update about the fight between the two of them in the press, but now Sunil Grover has commented on the condition of the quarrel between him and Kapil Sharma. In an interview given to Bollywood Hungama, Sunil has said that “I am watching the whole circus and it is quite fun.” The flutter in Kapil Sharma’s flight was not less than a nightmare for his fellow artists. Kapil and Sunil Grover’s fight also became a big drama on social media, but after Sunil Grover’s reply, the issue has regained people’s interest. 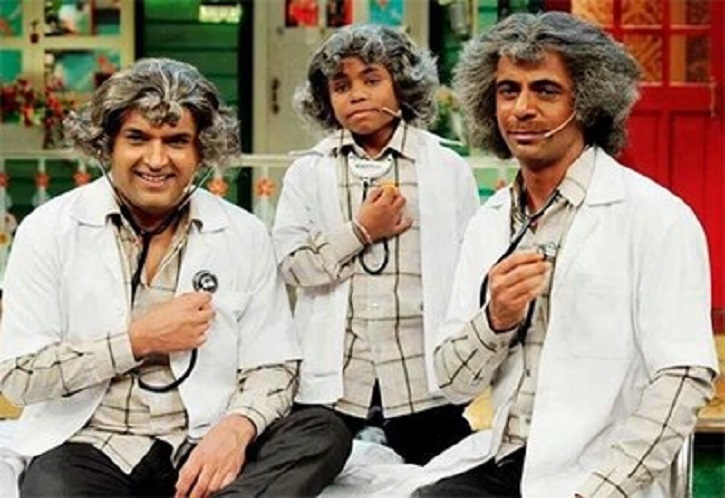 Gulati’s comedy clinic will work without Kapil, the great Gulati and Bumper might shake hands! After this struggle, it is certain that Grover is not in the mood for any reconciliation with Kapil. Grover said that I am very comfortable, very self-reliant, thinking about my plans. I’m just looking at all. The scene is going on, and it’s very entertaining. Sunil’s special friend also told that what is going on in his mind after all these days. 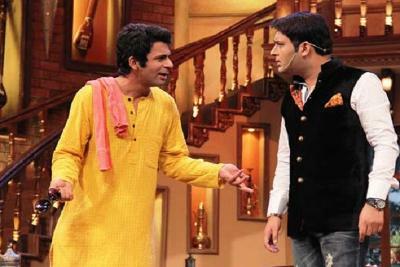 The friend said that on several occasions, Kapil had insulted Sunil and other team members. This is not worth an apology. Others saw the mayhem between Sunil and Kapil. After his bad behaviour, Kapil used to say – Let’s record the show, but this time not so. Kapil needs to know that he is wrong. There is now no way to return to Sunil and the rest of the team of artists as clear from Sunil Grover’s reply to Kapil. The friend told that Sunil is planning to celebrate Holidays with his wife and son at some unknown place. This fight between Kapil and Sunil has increased a lot. Whether Sunil goes back to the show or not, this time, it has become a mystery. In this fight on the flight, Sunil has teamed up with other allies including Ali Asghar and Chandan Prabhakar. According to the media reports, the drunken Kapil Sharma did not only talked bluntly to the fellow actor Sunil Grover on the flight but also beat him up. According to the witnesses, during the journey, Kapil had a whole bottle of whisky, and he was drunk. After this, when the cabin crew members provided food to Kapil’s team (Sunil Grover, Chandan Prabhakar, Kiku Sharda and others), they all started eating food. Kapil got angry with anger and said, ‘How did you take the food when I did not start eating?’ After this, Kapil started shouting loudly. With this incident, their co-stars became so scared that they returned the plate crew members to the food. During this time Sunil Grover tried to convince Kapil and calm down, then he was upset only on Sunil. Kapil held his shoe and hit Sunil Grover. Even after this, his mind was not filled, he grabbed Sunil’s collar and slapped him. Witnesses said that during this time Sunil remained calm. Kapil had also flared up and was constantly making use of abusive language. Kapil told his team, ‘I have made you people. I will finish your careers. Do you even understand what the TV is? I will remove everyone. ‘ Kapil said, after leaving the show to Sunil Grover and then recalling the incident of coming back, taunting him said, ‘Haven’t you went earlier? Ain’t you returned’ After the whole incident, passenger passengers of the flight were nervous. The crew was trying to pacify Kapil. Even he had to threaten Kapil to call security on him. At the moment, Kapil has apologised and stated that we always keep fighting for good things. But Kapil seems to have gone out of the limit this time. 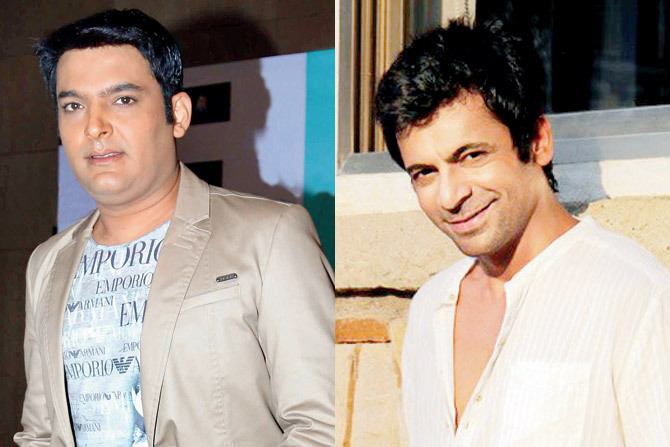 Sunil Grover’s reply to Kapil on this matter indicates that he will not come back.